Apple today announced when the HomePod will finally go on sale, and with that taking place on February 9th the company has today also released an updated beta version of the software that the device will run on. The download may not be available via the usual Apple developer portal channels, but those who do have a HomePod in-hand will be able to download the software separately. Those include Apple employees who are testing the device, and its software, ahead of the official launch. While the new beta will not prove much use to anyone without a HomePod, another software release is much more important – macOS 10.13.3 final version is now available for download. This particular update to macOS High Sierra is an important one because it includes a fix for the Messages app which now prevents a bug which could theoretically have seen some messages displayed out of order, something that is simply no good in a messaging app. 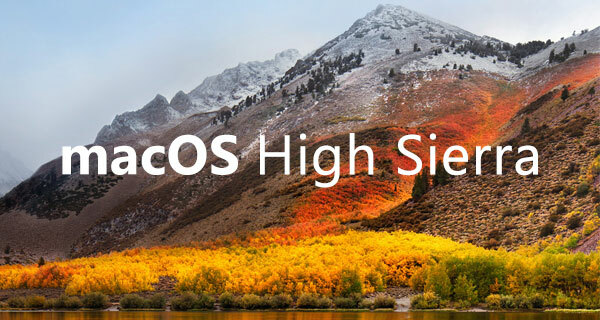 The macOS High Sierra 10.13.3 update improves the security and stability of your Mac, and is recommended for all users. This update addresses an issue that could cause Messages conversations to temporarily be listed out of order. The update, weighing in at 1.97GB or thereabouts depending on the Mac you are installing it on, also includes a fix for an issue which saw some Macs stop responding when connected to an SMB server. The update can be downloaded via the Updates section of the Mac App Store, and is available for everyone running a release of macOS High Sierra. This macOS update, along with the HomePod beta release, join iOS 11.2.5 in being released almost simultaneously. That iOS update also includes support for HomePod, among other things. Apple also pushed watchOS 4.2.2 out to wearers of the smartwatch, with a tvOS update – version 11.2.5 – also available for download.